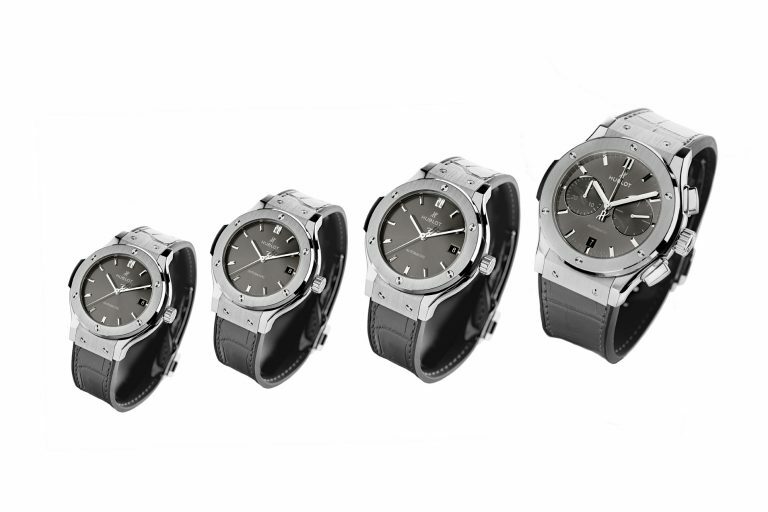 Swiss Hublot is releasing its CLASSIC FUSION collection in on-trend yet timeless grey. Following on from its Spring/Summer 2015 blue collection, the Classic Fusion quintet now boasts a total “Racing Grey” look. Less harsh than black, more timeless even than blue, this grey – inherently neutral and universal – reinforces the model’s versatile elegance. An androgynous hue with many different facets. 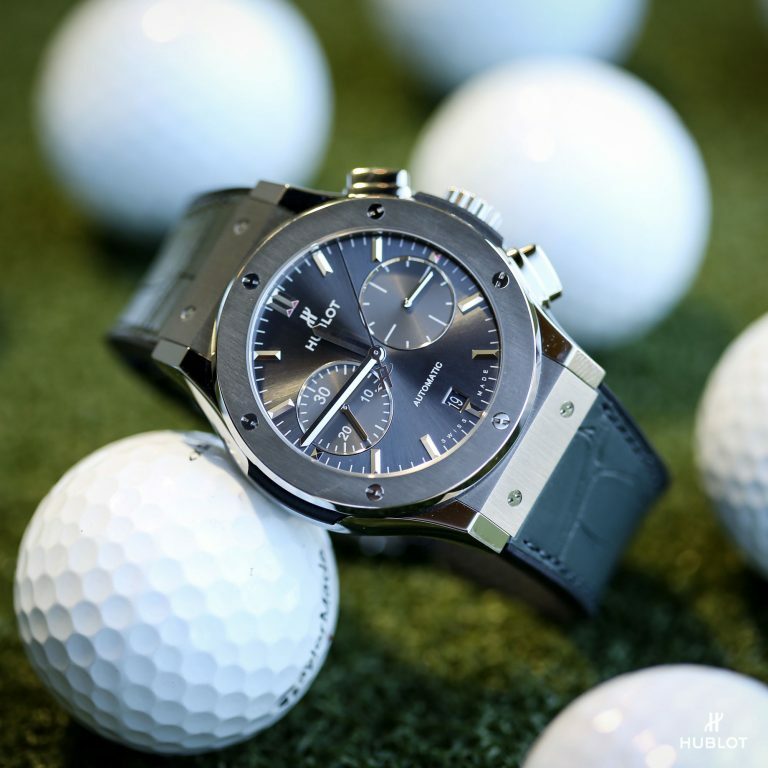 From yuppies to gypsetters, tweed to iridescent satin, grey works with every style from the swiss classic watch understated to the ultra-sophisticated.